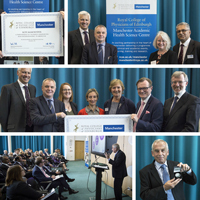 RCPE Manchester is our exciting partnership with Manchester Academic Health Science Centre (MAHSC). MAHSC has since been incorporated into Health Innovation Manchester (HinM). The aims of the partnership are an education and research partnership to drive innovation and understand in medicine. Manchester is also home to the NIHR Biomedical Research Centre and Clinical Research Facility which connects world-leading researchers based at The University of Manchester and four NHS Trusts in Greater Manchester, with a joint vision to drive forward the transformation of scientific breakthroughs into life-saving treatments and care for patients. 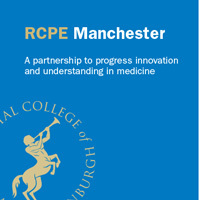 A board has been established to guide and oversee the development of RCPE Manchester’s programme and the venture is being staffed by an academic lead from Health Innovation Manchester, a programme lead from the college and a programme co-ordinator. A two year programme of clinical and academic events started in 2017. The RCPE Manchester activities include a series of RCPE Evening Medical Updates and Symposium. See our forthcoming programme of events for more details. “We are delighted to be working with Manchester Academic Health Science Centre to establish a presence and expand our work in the north of England. The College has a long history of developing standards of medical care and training in order to deliver the best possible care to patients. “We welcome the establishment of RCPE Manchester and are delighted to be in partnership with the College which has a global reputation for clinical excellence. Our combined offering through the collaboration naturally fits with one of HIM’s central objectives as an academic health science centre; provision of high quality training and education for healthcare professionals. "RCPE Manchester will provide first-class learning, training and professional development options to healthcare colleagues at all stages of their careers." We have completed our first eighteen months at RCPE Manchester, and have achieved a great deal in that time! Since our launch in June 2017 and inaugural lecture by Professor Nic Jones of the Manchester Cancer Research Centre, we have hosted the RCPE Medical Trainees conference at University Place, presented a series of Evening Medical Updates (EMUs), hosted two innovative medico-legal debates on important ethical issues and held our first hugely successful Maternal Medicine Symposium, encompassing the second of our annual lectures by Professor Ian Greer, outgoing Director of MAHSC. In November 2018, we collaborated with Greater Manchester Health and Social Care Partnership for the Greater Manchester Clinical Leaders’ Summit, and hosted the RCPE’s Research Symposium for Undergraduate and Foundation trainees, which took place for the first time in Manchester. We have just held another well received Symposium on Living Beyond Cancer - see below for more on this event. In April 2019, are holding the MRCP Diploma ceremony at Whitworth Hall in Manchester for the first time. We are continuing to plan events for the remainder of 2019 - more information on this to follow. RCPE Manchester provides a number of educational opportunities for medical professionals and plenty of chances to gain valuable CPD points. We hope to see some of you at our future events, and if you have any comments, suggestions or ideas you would like to share with us, we’d be glad to hear from you! Our latest Symposium on took place on 5 February 2019 at the Dalton Rooms in Manchester. 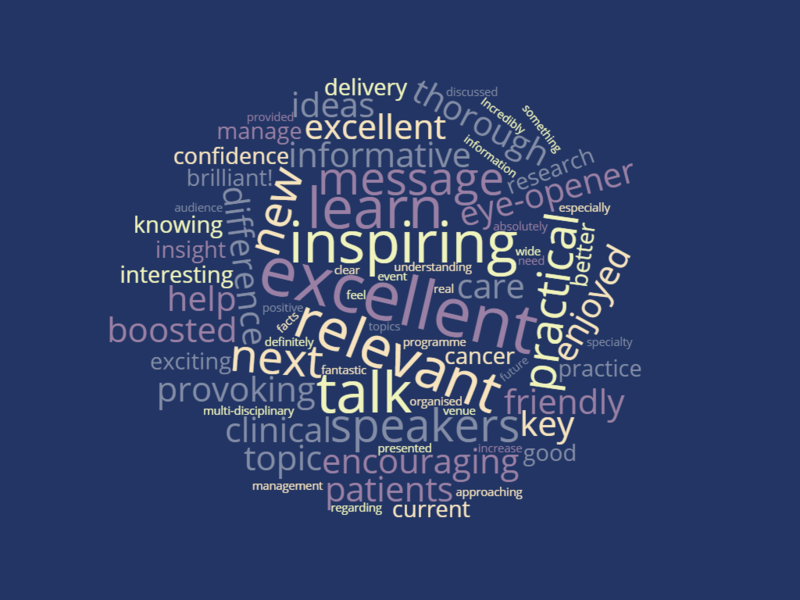 Living Beyond Cancer: ‘Optimising the quality of life in patients treated for Cancer’, was the third event in our RCPE Manchester 2018-2019 programme. As more people are living beyond Cancer, the Symposium looked at and addressed some of the challenges arising from the successful treatment of cancer that have an impact on the quality of life of patients. The speakers and attendees were multidisciplinary professionals involved in cancer care such as Oncologists, Cardiologists, Reproductive Gynaecologists, specialist nurses and medical specialists with an interest in bone disease. There was a broad audience - consultants and trainees, doctors from many disciplines and other health practitioners. This provided everyone with an excellent opportunity to network with like-minded medical professionals, and discuss the issues that mattered to them. Further events are being planned for RCPE Manchester during 2019 – more information to follow on shortly. 2018 saw our Medical Research Symposium for students and foundation doctors being held for the first time in Manchester. This was a popular event with delegates attending from all over the UK. As undergraduates and foundation doctors carry out a wide range of research, this dedicated symposium offers an opportunity to present findings, have early career research published, build networks and hear from established research leaders about their own experience in developing research careers. In keeping with the College's innovative use of technology to reach audiences far and wide, RCPE Manchester has set up a number of livestreams between Edinburgh and Manchester, using videoconferencing, cameras and microphones. This has enabled audiences in Manchester to participate live in events based in Edinburgh. The medico-legal debates have included topics such as the Dr Bawa-Garba case and the Assisted Dying Bill. Evening Medical Updates are a series of free, monthly lectures on the top medical presentations as as defined in the General Internal Medicine training curriculum, and are delivered by the Trainees & Members committee of the Royal College of Physicians of Edinburgh. They are primarily aimed at doctors in training and medical students, but attract a wide range including hospital doctors, GP's and nurses. Each EMU consists of three 30 minute lectures and attracts 2 CPD credits. EMU's in Manchester are currently being streamed to the University Hospital of South Manchester (contact Dr Phillipa Killingworth). Information on the remaining EMU's scheduled for 2019 are available here.